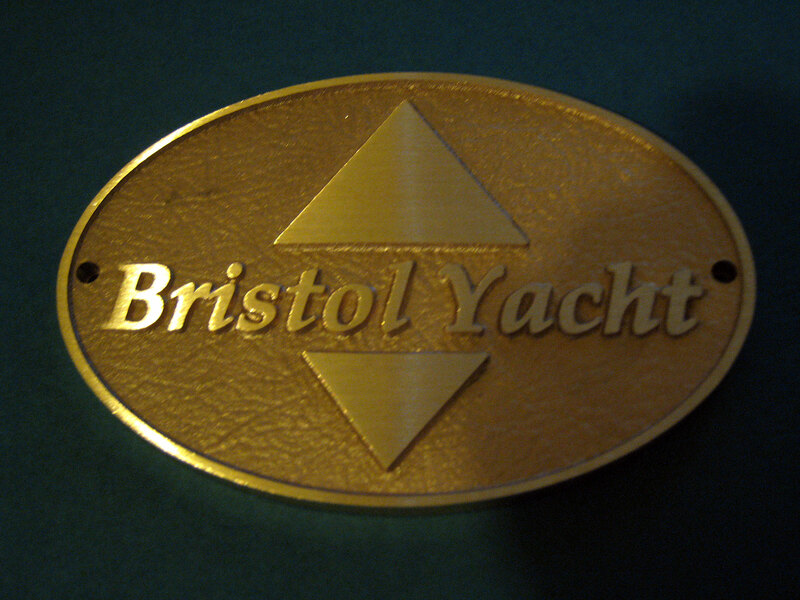 I've decided to design and have cast a new Bristol builder's plaque for the boat. The old one looks terrible and the boat deserves better. It's about 6" x 4" in polished bronze, I'll post pictures when I get the plaque from the foundry. I received the finished plaque today. It is really lovely, solid bonze weighing about 5 pounds. It will do my Bristol well. 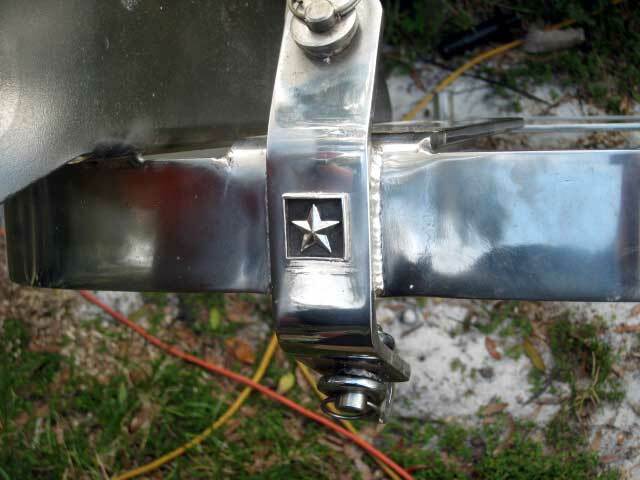 If any other Bristol owners would like one I can provide at a cost of 264.00 plus shipping. Just send me an email at the email link in the footer of this page. 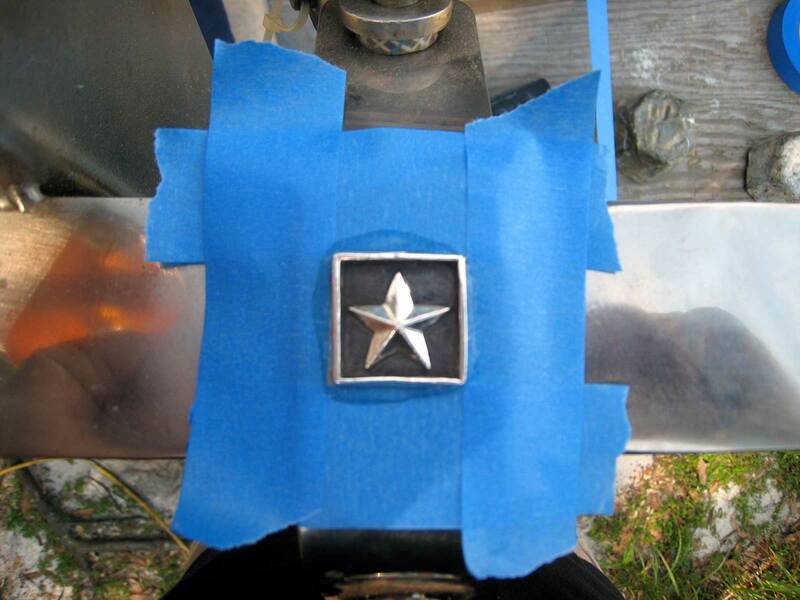 My bowsprit isn't round nor made of wood so instead of carving one, I found a nice sterling silver star pendant. 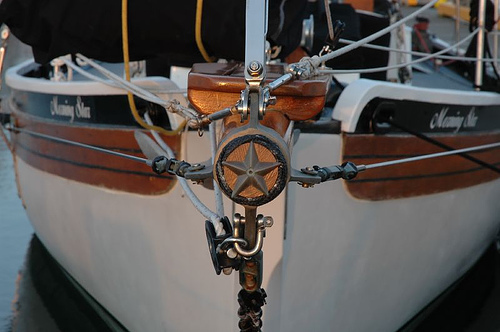 I ground down the loop on the top for a necklace, and glued it to the front of my bowsprit with clear silicone sealant. I hope it will bring my boat good luck in our travels.